Long-time Nike endorser Roger Federer has officially left the company for a new contract with Japanese clothing company Uniqlo. 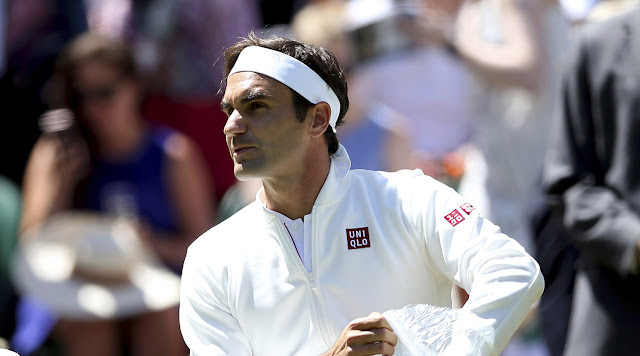 The tennis superstar was seen wearing head-to-toe Uniqlo apparel when he took the court for his first match at Wimbledon on Monday morning. Federer's shirt, jacket, socks, and signature headband all were adorned with the brand's red and white logo. According to ESPN, his new endorsement deal is worth more than $300 million guaranteed over the next 10 years. The deal also allows for Federer's team to sell patches on his shirt, which could lead him to raking in even more money—something Nike did not allow. Nike's contract with Federer expired on March 1. The Swoosh was given the chance to match Uniqlo's offer and declined. Nike had been his outfitter since 1994. Sources say that Federer's agent Tony Godsick was seeking more money from Nike despite its promise to expand the "RF" line. Interestingly enough, Federer was still wearing Nike sneakers during his match. This is not the first time Uniqlo has signed a big tennis star. The brand has previously outfitted Novak Djokovic with little success and the two parties parted in 2017. Federer went on to defeat Dusan Lajovic in straight sets in his opening match at Wimbledon.